Here’s a short video that will give you a sense of how John approaches juries. Since 2001, John has represented parties in more than 100 mediations and increasingly has been called upon to mediate personal injury cases. John has also completed general mediation training as well as divorce mediation training. This training, along with his years of experience as a board certified civil trial lawyer, affords John a unique perspective for facilitating settlement negotiations in personal injury and domestic cases. John received his undergraduate degree from Marshall University in 1984 and law degree from Capital University Law School in 1987. While in law school, John was the Editor-in-Chief of the Capital University Law Review, as well as a member of the National Moot Court Team. Following law school, he worked at the Columbus law firm, Crabbe, Brown, Jones, Potts & Schmidt. While at Crabbe Brown, he represented a number of insurance companies including Nationwide, Farmers, Kemper, USAA, Westfield and Allstate. John was also a member of the firm’s Chrysler Corporation product liability litigation team. During his seven years at Crabbe Brown, he handled dozens of wrongful death and serious personal injury cases. From 1994 to 1999, John worked at Plymale & Associates, concentrating his practice on serious injuries and wrongful death, representing plaintiffs. John is credited with having the largest verdict recorded in Pickaway County at $4.5 million. He is a board certified civil trial lawyer, a member of the Million Dollar Advocates Forum, and has the highest rating of AV from the Martindale-Hubbell rating system. In November 2011, he was honored with the “Respected Advocate Award” from the Ohio Association of Civil Trial Attorneys. In January 2000, John opened his own firm in Westerville, Ohio, with an emphasis in tort and business litigation, as well as mediation. 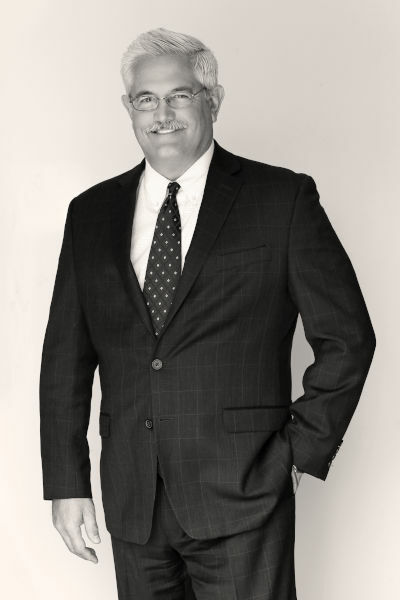 As the demands of his successful solo practice grew, he decided to merge his practice, and in January of 2008, John became Of Counsel with The Robert J. Behal Law Offices LLC and eventually a partner in today’s firm, The Behal Law Group LLC. John is also an adjunct professor at Capital University Law School where he teaches general proactice and has taught advanced evidence and trial advocacy. He is a frequent lecturer and has published numerous articles regarding trial practice. John’s wife, Anne, is a former state representative and former mayor of Westerville. They have three children and live in the city of Westerville, where they are active in charitable and political activities. For years, John was a volunteer firefighter with the Genoa Township Fire Department.